The Breg Neutral Wedge positions the arm in a natural state of external rotation, while adding the necessary tension to the anterior capsule following anterior shoulder dislocations or Bankart lesions; thereby reducing the recurrence of future injuries. Two sizes (S/M and L/XL). Universal left or right right. Squeeze ball. 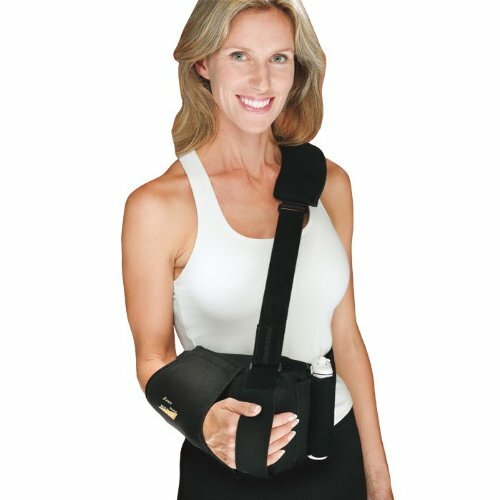 Easy to fit pillow, sling and straps. Holder for pain management device or beverage. Pocket to hold wallet or keys. Measurements taken from olecranon fossa to end of a closed fist. S/M <14.5". L/XL > 14.5". Indications The Breg Neutral Wedge is indicated for anterior dislocations, Bankart repairs, SLAP lesion repairs and Posterior repairs. Goals Easy to adjust range-of-motion. Stimulates circulation. Decrease anti-inflammatory medications. Decrease pain symptoms. Improve shoulder joint function. Improve rehab. If you have any questions about this product by Breg Braces, contact us by completing and submitting the form below. If you are looking for a specif part number, please include it with your message.